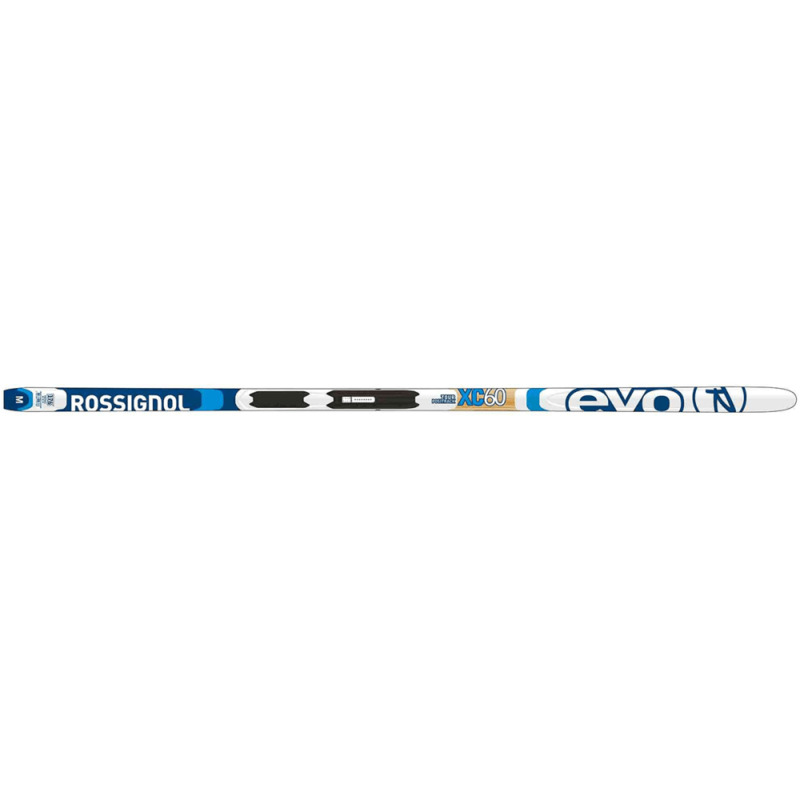 A user-friendly, waxless touring ski, the EVO TOUR 60 is designed for recreational skiers and active winter enthusiasts. Smaller, more accessible sizes allow increased maneuverability and control, while waxless Positrack bases provide the best blend of grip and glide in all snow conditions. Compatible with the new Turnamic® binding system for the most natural ski flex and snow feel. LCD Core: Rossignol’s exclusive Low-Density Core construction features a lightweight wood core with air channels for lightweight strength and energy. Active Cap: Rossignol’s Active Cap construction combines ROSSICAP and multi-directional fiberglass for a supple flex from tip to tail to glide over uneven terrain and increased torsional rigidity for enhanced control. Avg. Weight (pair): 24 oz.